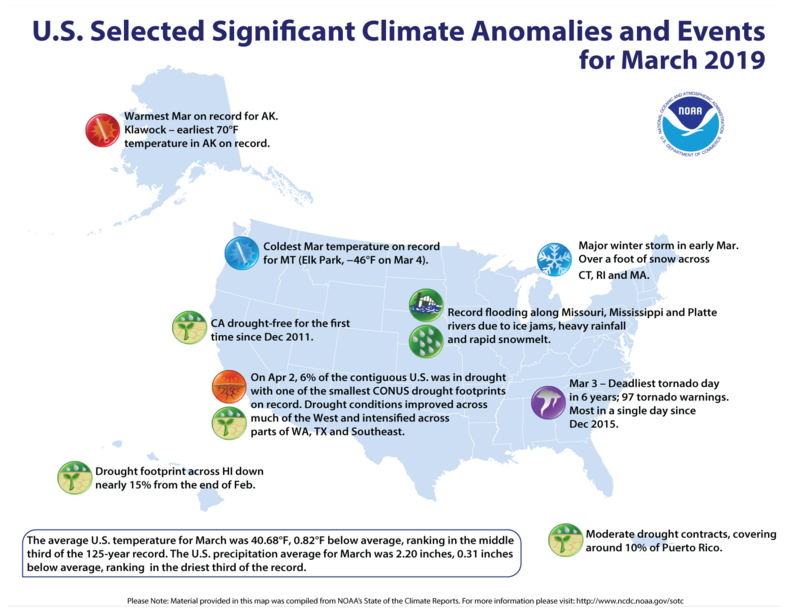 [NOAA] The so-called bomb cyclone that brought heavy snow, blizzard conditions and major flooding to the Midwest in March landed with a resounding meteorological “ka-boom!” and became one of two billion-dollar weather and climate disasters this year. 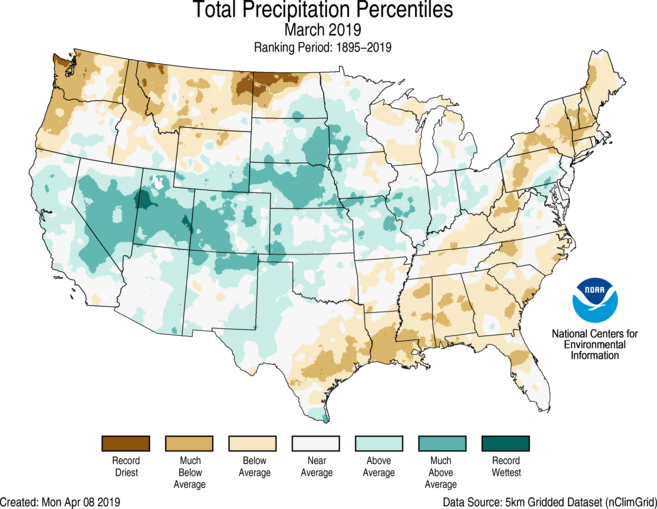 The other was a severe storm that struck the Northeast, Southeast and Ohio Valley in late February – and it’s only April. 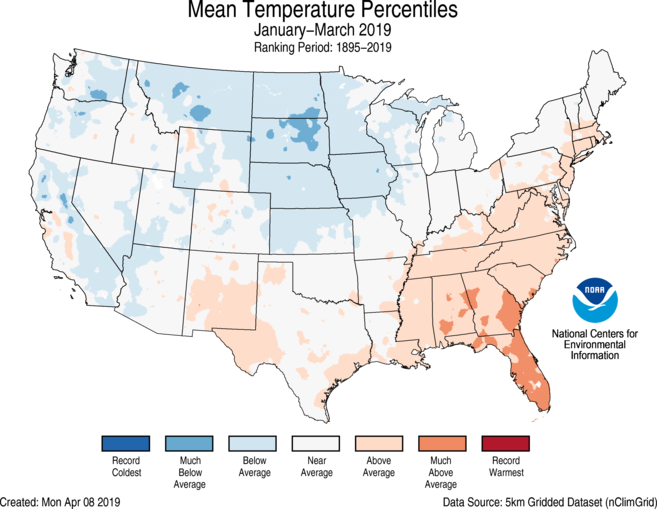 The average temperature for the contiguous U.S. during March was 40.68 degrees F (0.82 of a degree below average), ranking in the middle third of the 125-year record for the month, according to scientists at NOAA’s NCEI. 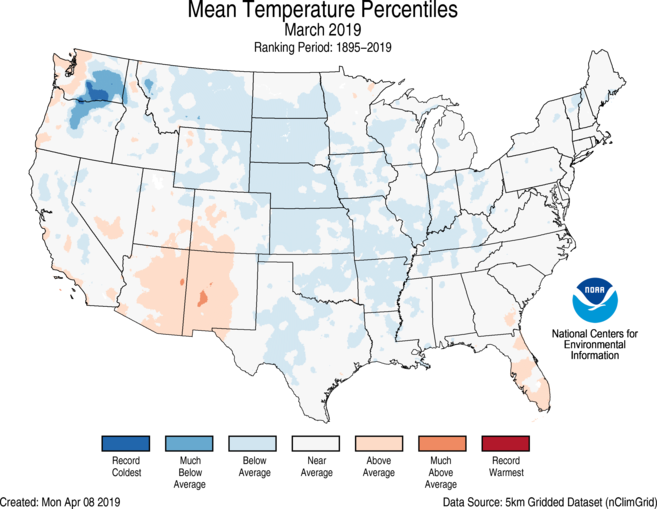 A baked Alaska: Last month’s temperatures in Alaska were 15.9 degrees F above average, making it the hottest March for the state in the 95-year record. 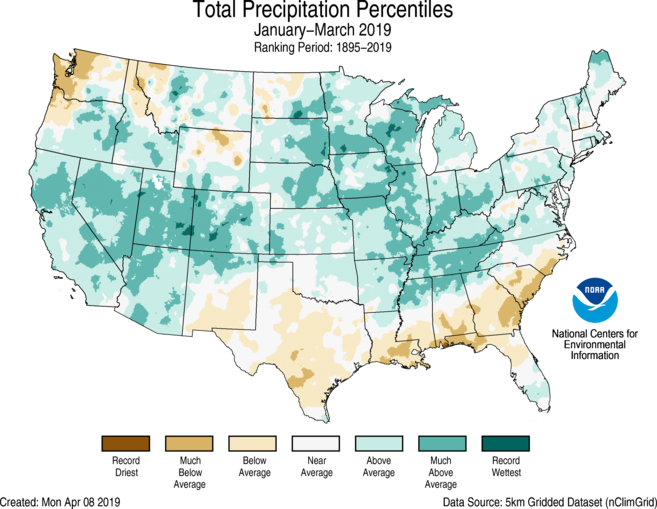 Bomb Cyclone: During mid-March, a “bomb cyclone” developed across the central U.S. bringing snow, blizzard conditions, heavy rainfall and above-freezing temperatures across parts of the interior U.S., which already had significant snowpack on the ground. This resulted in widespread flash flooding due to the combination of new rainfall, rapidly melting snow and frozen ground. 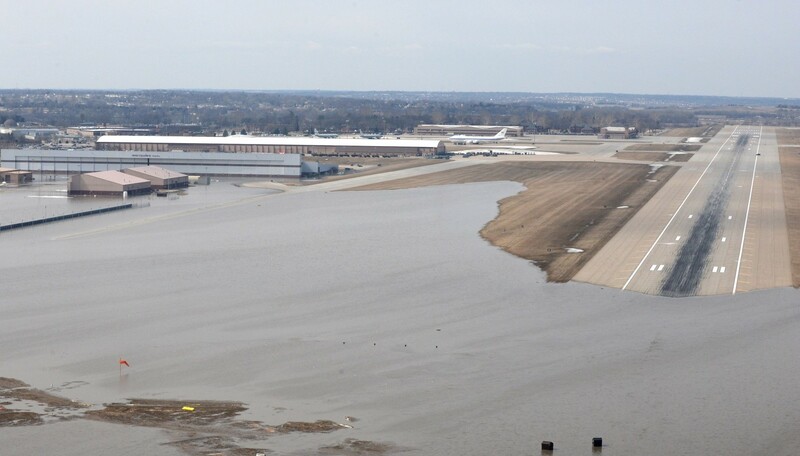 A State of Emergency was declared for parts of Nebraska, Iowa, South Dakota and Wisconsin as the Missouri, Platte and Mississippi rivers breached their banks.